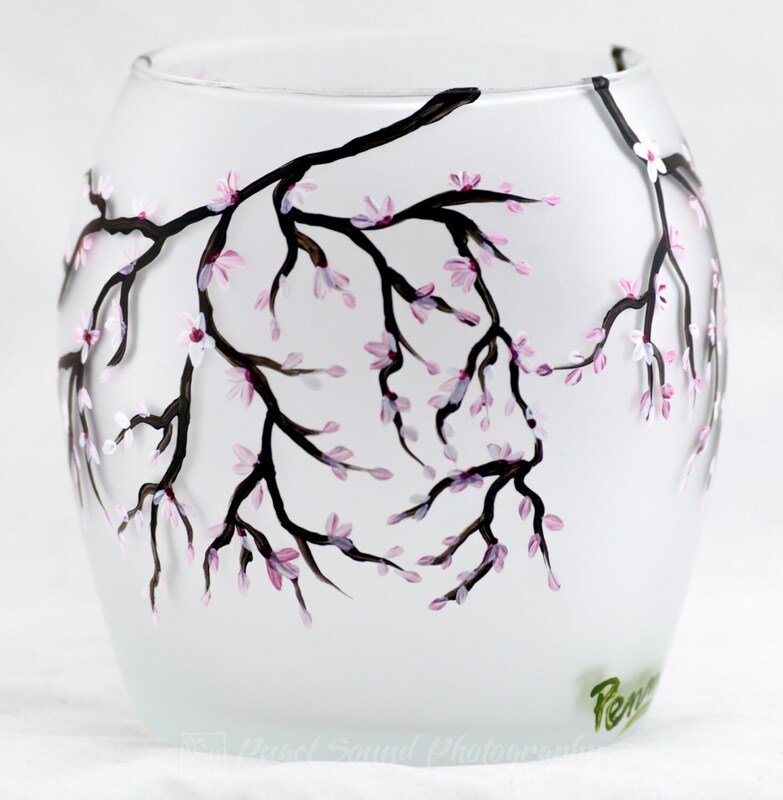 This candle holder is large round 16 oz Cherry Blossom Design on Frosted Glass. 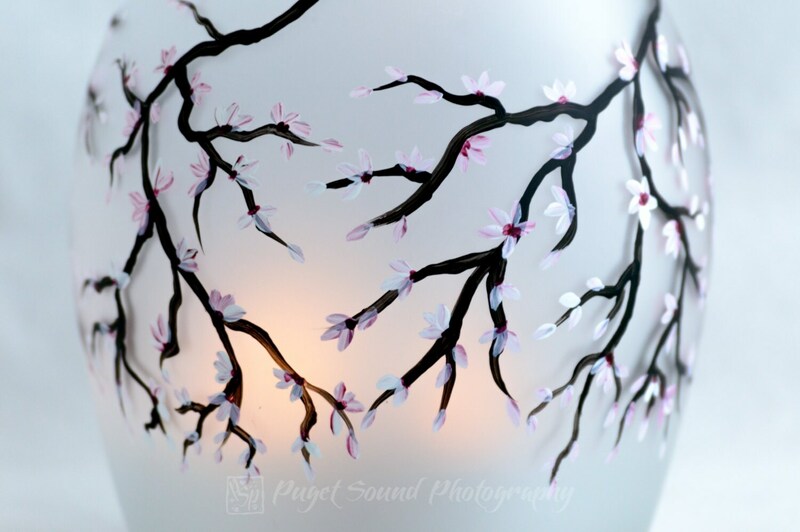 This intricate design takes a lot of time to paint with all the small little blooms and tree branches. 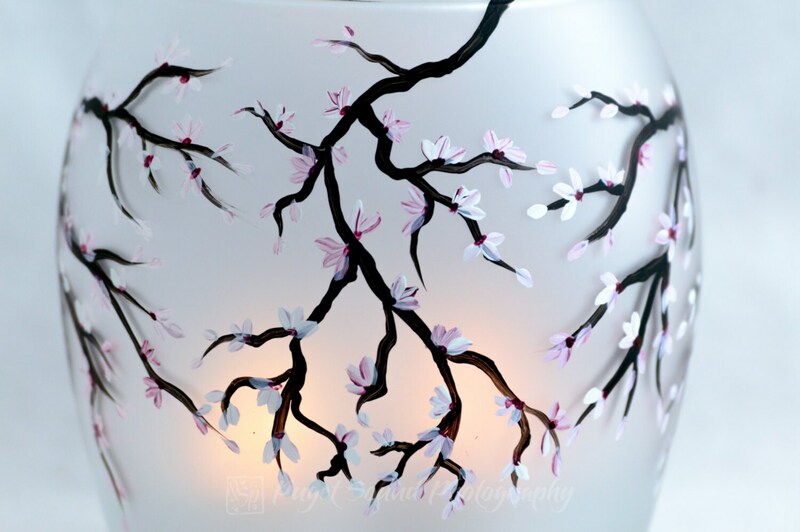 As the pictures show it glows magically when lit by either a traditional candle or with LED candle like shown in the photos. 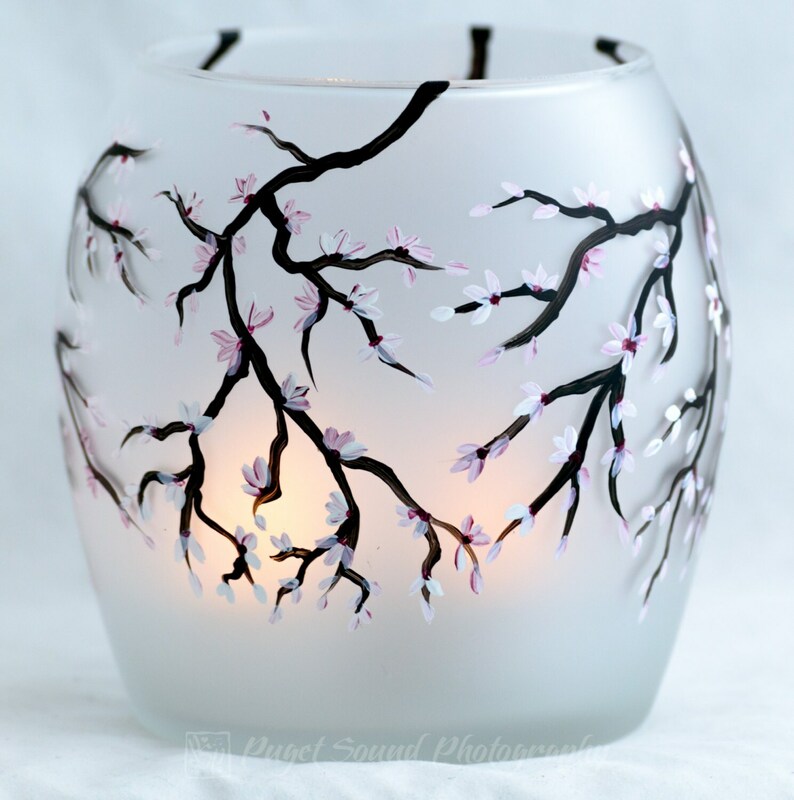 It would bring great peaceful ambiance to any room in your home or office. It can be used on a regular basis to enjoy as living art in motion. It is signed by American Artist Penny Firehorse. 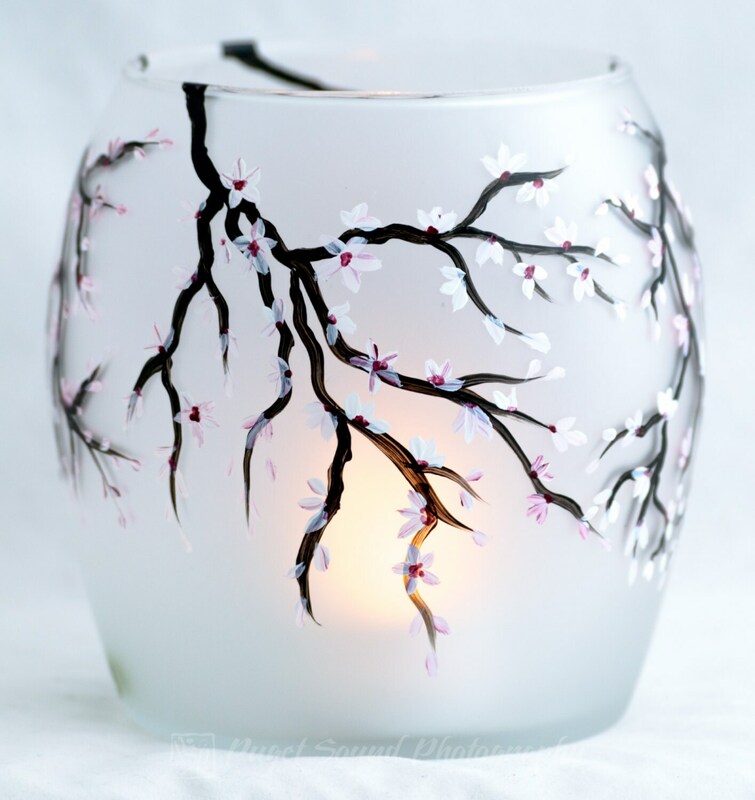 The candle holder is 100% hand-painted using quality acrylic enamel paints and is cured resulting in a scratch-resistant, high-gloss finish. Please hand wash only to preserve heirloom quality.